What makes a great car? Maybe it’s top-tier fuel efficiency or perhaps it’s cutting-edge tech. The fact is, the things that make you fall in love with a car may be very different from those of another car shopper. The simple, friendly and comfortable car buying experience at Schomp Hyundai, however, is more easily agreed upon. As one of the premier Hyundai dealers near Denver, CO, we are proud to bring you a lineup of new and used vehicles designed to make your travels easier and more enjoyable. 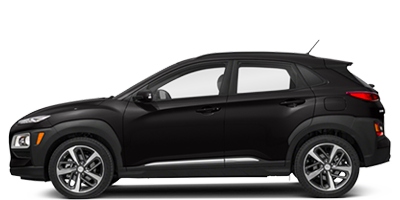 It all starts with our lineup of new Hyundai near Denver, CO. With the new Accent, Azera, Elantra, Santa Fe, Santa Fe Sport, Sonata, Sonata Hybrid, Tucson, and Veloster there is truly something for everyone on our lot. Within the Hyundai lineup, you’ll find options that fit your unique lifestyle, taste, and financial situation. Plus, with the help of our financing department, we are willing to work with you to find sensible financing solutions so you can drive off our lot in a new Hyundai with confidence. Of course, our selection of new cars is just part of the puzzle. We also carry budget-friendly options in the pre-owned market. 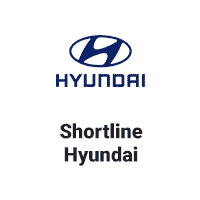 With Certified Used Hyundai vehicles as well as used cars from other brands, it’s worth making the short drive to Schomp Hyundai for your next vehicle. There is more to buying a car than just finding the right fit. You also have to find the right financing plan. At Schomp Hyundai, we provide flexibility and expertise to help you find a payment plan that works for you without breaking the bank. With reputable lending partners and a knowledgeable staff who can help simplify things for you, we are equipped to help you find a great car loan near Denver, CO.
After purchase, we’ll still be by your side to help you maintain and service your Hyundai. Not only do we have the experienced technicians and advanced tools to keep your car running at its peak, but we are also able to get the job done quickly, so you spend less time waiting and more time driving. With genuine Hyundai parts, you can rest easy knowing your Hyundai is getting nothing less than the best when parts need replacing due to normal wear and tear. While we are located in Aurora and proudly serve Denver, we also welcome care shoppers from surrounding communities like Englewood, Littleton and several other central Colorado areas. Give us a call, or better yet, stop by the lot. We can’t wait to meet you and help you find a great new car!